Banking giant JPMorgan Chase used to be the golden child of Wall Street. But the company disappointed investors Wednesday by reporting fourth quarter profits and revenue that were below forecasts -- largely due to increased legal costs. And CEO Jamie Dimon continues to show resentment about how much scrutiny his bank has come under from various government agencies. During a conference call with reporters, Dimon said that the bank was "under assault" by regulators. When asked for more details on that, he responded by saying, "You've got to be kidding me." To be sure, JPMorgan Chase is hardly struggling. The bank reported a $4.9 billion profit in the fourth quarter. Still, that was down 7% from a year ago and translated to $1.19 a share. Analysts were expecting earnings of $1.31 a share. Profits were weighed down by $1.1 billion in legal expenses during the quarter. The bank, along with some of its rivals, has been accused by federal regulators around the world of manipulating the foreign-exchange markets. JPMorgan Chase settled some of those charges in November. Revenue fell 2% from the fourth quarter of 2013 as well. There are concerns throughout the industry about how increased regulations and calls to boost capital requirements will make these firms far less profitable in the future. Some experts and politicians -- most notably Senator Elizabeth Warren -- have also called for big banks like JPMorgan Chase to break up so they won't pose as many risks to the financial markets. But Dimon reiterated a favorite mantra of his during the call with reporters. He stressed that the company has a "fortress balance sheet" that is "impenetrable" and did not seem concerned about the new capital rules. JPMorgan Chase CFO Marianne Lake added that she did not think the bank should be broken up since it was doing well and also said customers benefit from its scale. It was not all bad news though. Dimon touted strong results from JPMorgan Chase's consumer and community banking, mortgage banking and credit card units. Dimon added during the conference call that he thinks the U.S. economy is improving and that the Federal Reserve would likely raise interest rates this summer as a result. He said this would not be a bad thing and that the bank is positioned well for a gradual increase in rates. But investors are most concerned about the bank's Wall Street operations -- trading and investment banking. 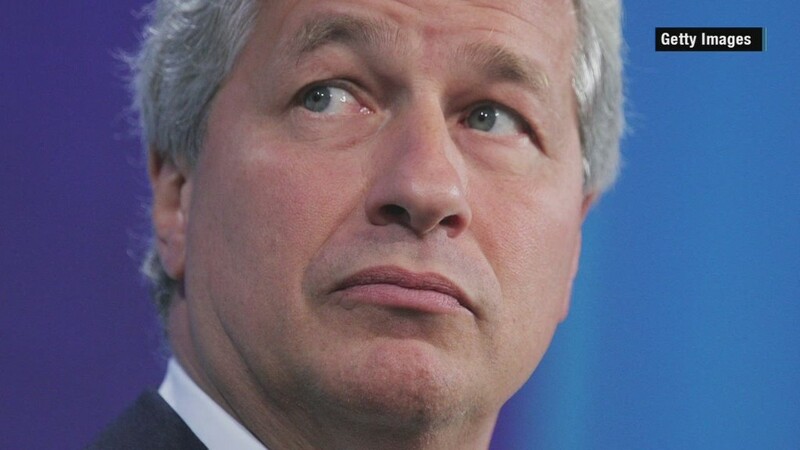 Dimon said in a press release that the bank's markets business remains "challenged." Trading revenues have come under pressure at several big Wall Street firms. The CEOs of Bank of America and Citigroup both warned last month that their trading business would be weak in the fourth quarter. Citi also told some of its traders recently that they should expect lower bonuses as a result. 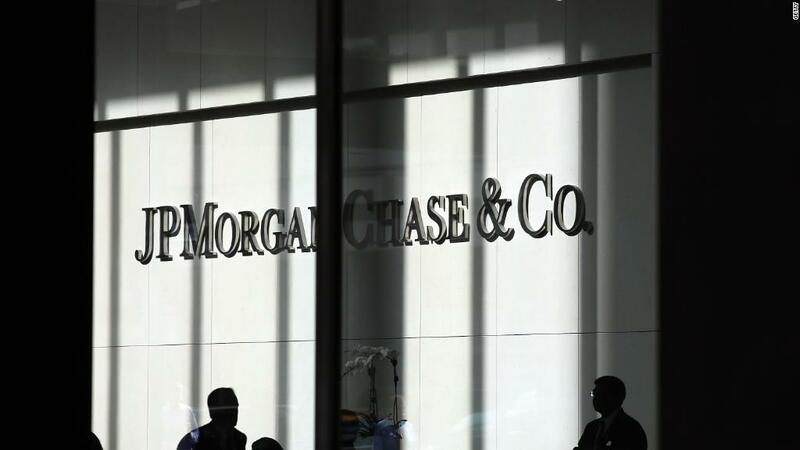 Shares of JPMorgan Chase (JPM) fell nearly 3.5%. The bank is now in the strange position of being a Wall Street laggard. The stock underperformed the broader market and several of its rivals in 2014. JPMorgan Chase is the first big bank to report its fourth quarter results. Wells Fargo (WFC) also released its latest earnings on Wednesday. Earnings were up from a year ago and in line with forecasts. The stock was down more than 1%. Citigroup (C), Bank of America (BAC) and Goldman Sachs (GS) are on tap to report their earnings later this week.